A great man, a Pakistani humanitarian and great philanthropist. 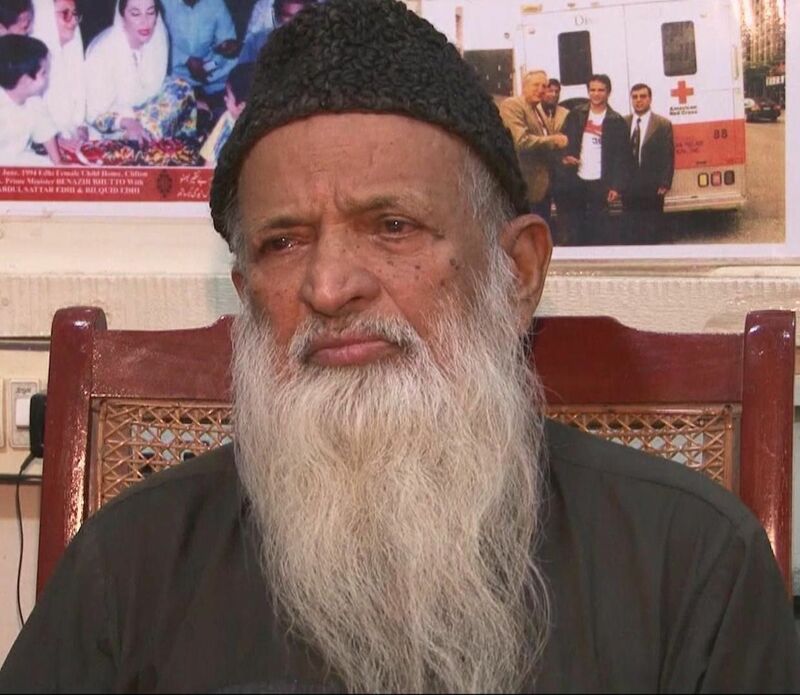 A great man, a Pakistani humanitarian and philanthropist, Mr. Edhi passed away on July 8th. He had been suffering from kidney disease and had been unable to get a kidney transplant due to frail health. He and his family had emigrated to Pakistan from Gujrat in 1947, the year Pakistan was created. Many Muslims migrated to Pakistan and many Hindus had gone to India after partition in 1947. He opened clinics, maternity wards, orphanages, morgues, shelters and homes for the elderly. He helped battered women, addicts, orphans, the destitute, the elderly, all those who had no help and could not help themselves. And he helped hundreds of thousands of people. He started his charitable foundation entirely from donations. And these donations were vast, his foundation is huge and has taken the place of the social services that should have been but were not provided by the state. One of the most remarkable parts of his foundation are the 1,500 ambulances that arrive in a moment’s notice whenever they are needed! Despite the large sums of money involved in the Edhi Foundation, Mr. Edhi lived very modestly, as an ascetic, in a room next to his charitable foundation housed only with a bed, hotplate and sink. He criticized the violence, corruption, and ineptitude in Pakistan. He gave no preferential treatment to Muslims when it came to the care of the needy, his foundation helped everyone equally. He was a remarkable man, even after death he helped two more people who received his corneas. Tens of thousands attended his funeral in Karachi’s National Stadium. His foundation will go on, His kindness and willingness to help those who had nothing will go on.